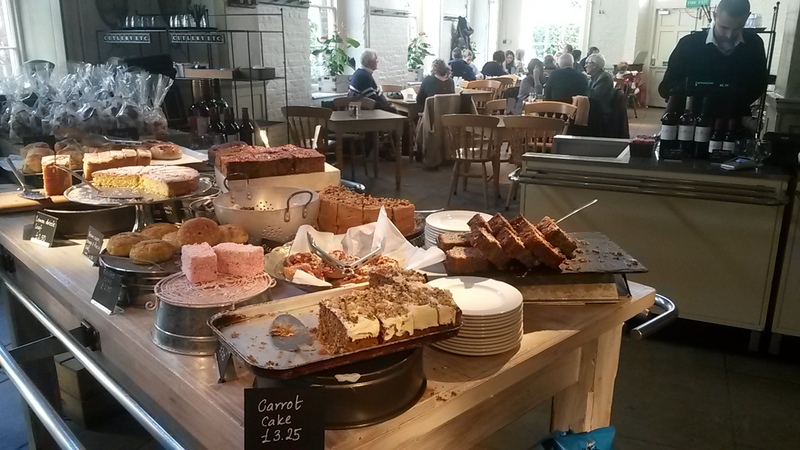 Set inside the wonderful Kenwood House, The Brew House Café is run by the Company of Cooks, which has the noble intentions of getting good food into public places. And here they succeed. 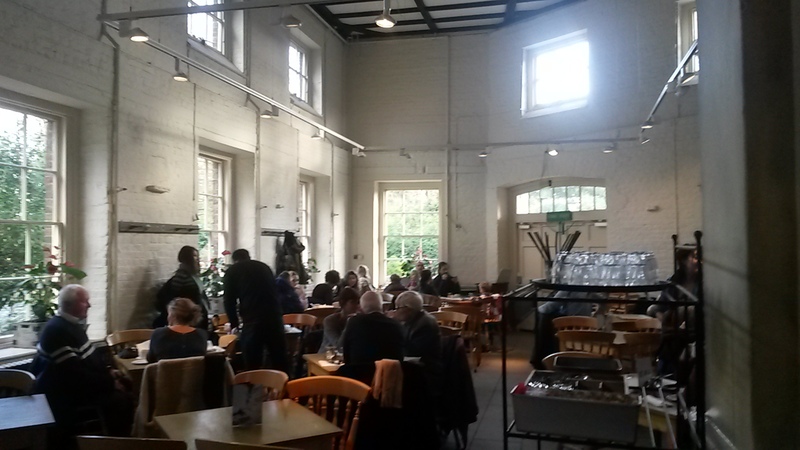 Unlike many cafes in parks or stately homes, a lot of thought has gone into this recently refurbished venue. Using Union Coffee Roasters, another east London roaster, the coffee here failed to hit the heights of its wonderful surroundings. Very frothy and quite small, it felt like it needed a bigger kick of espresso for its size. This was clearly just a single shot cappuccino, which I guess is standard for a café that’s there to serve guests of the house and not people looking for a good brew. Which is a shame, as in the summer I’d happily walk across the heath to sit in the amazing gardens here – if only the coffee was better. Kenwood House’s refurbishment has brought this mansion house to life and, unlike other venues, they haven’t skimped on the café. Designed like an old working kitchen, the room is stunning, with high ceiling, massive windows looking out onto the gardens and period features everywhere you look. It loses a point for its poorly chosen and laid out seating, which don’t really fit into the design of the café and for its clientele being made up mainly of tourists. In the summer, though, the outside seating area alone is worth visiting – if you can get a seat. It will be pretty busy being one of only a handful of cafés on the heath. The selections of cakes laid out on a table as you walk in get your taste buds watering instantly. 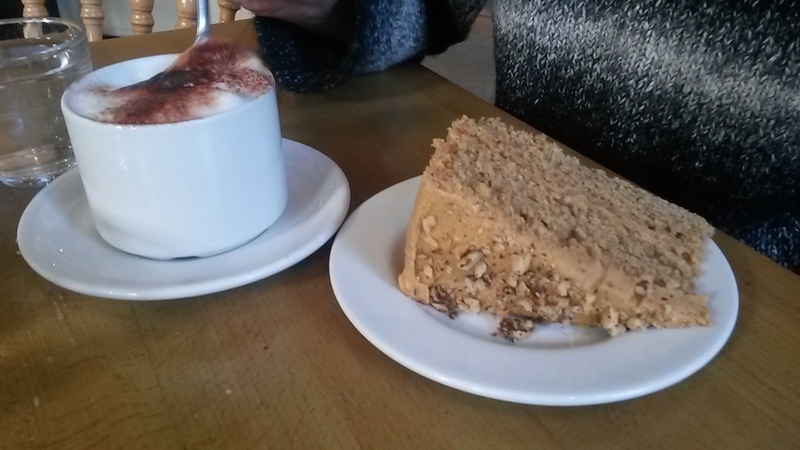 We went for the Coffee Walnut Cake, which was excellent but there was also some less obvious choices like Bread Pudding and Olive Oil and Brown Sugar sponge. There was also hot food including a very interesting sounding Field Mushroom and Mustard soup. The Company of Cooks clearly know food more than coffee. It’s self-service for the most part but the man making the coffees was efficient and handled our complex order of two cappuccinos – one with chocolate, one without – with panache and a smile. The room was also kept clean and the tables tidy. Though as you’re serving yourself, I can only score it one star. 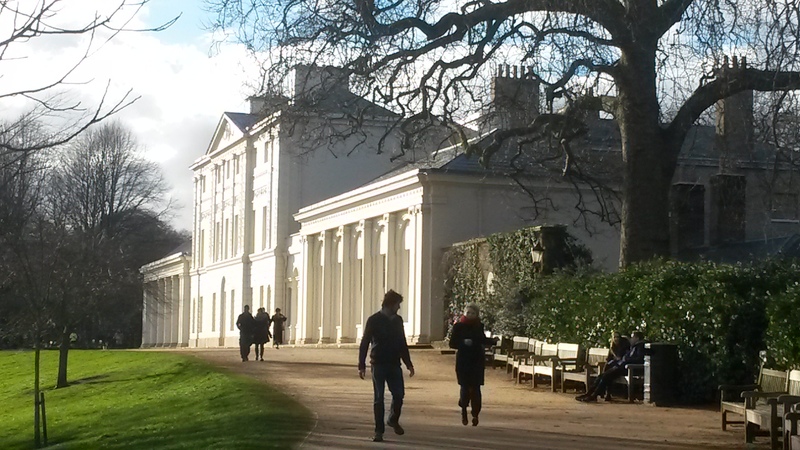 Two words – Kenwood House. Whether it’s the brilliantly restored insides with its amazing selection of paintings or the gardens where you can take your cappuccino in the summer, this is so much more than just a café. On top of this there’s the many events that the house holds along with a great kids room. As a stand-alone café, this might not have scored so highly, but its stunning surroundings raise it above the average café and into a venue worth a visit.